With the next heatwave (supposedly) just on our doorsteps, I'm putting a few products into practice to get my legs ready an to transport me to feeling as though I'm someone a little further and a little more exotic. The Aveda Beautifying Radiance Polish*, £36 is an incredible body scrub. Not only do I use this on my legs, but all over in fact. This scrub feels like a treat. The scrub is fine, but abrasive enough to notice the difference and the scent reminds me of a spa. It's super uplifting and if I need a pamper and a mood lift, this is my go-to. Afterwards, moisturiser is key to getting the perfect finish. I'm obsessed with The Body Shop's Pinita Colada range as it just smells like holiday. I'd far rather be on a beach somewhere far far away sipping on Pina Colada, but I'm not so this will have to do. If I'm looking for added hydration, The Body Shop's Pinita Colada Body Butter is what I would usually opt for. It's the same formula as the rest of The Body Shop's Body Butter*, £14, and truly just as great. It hydrates, leaves my legs looking and feeling great - oh, and the scent... It's delcious. Sometimes though, if its a little on the hotter side, I really don't feel like slathering on a thick body cream all over my body. 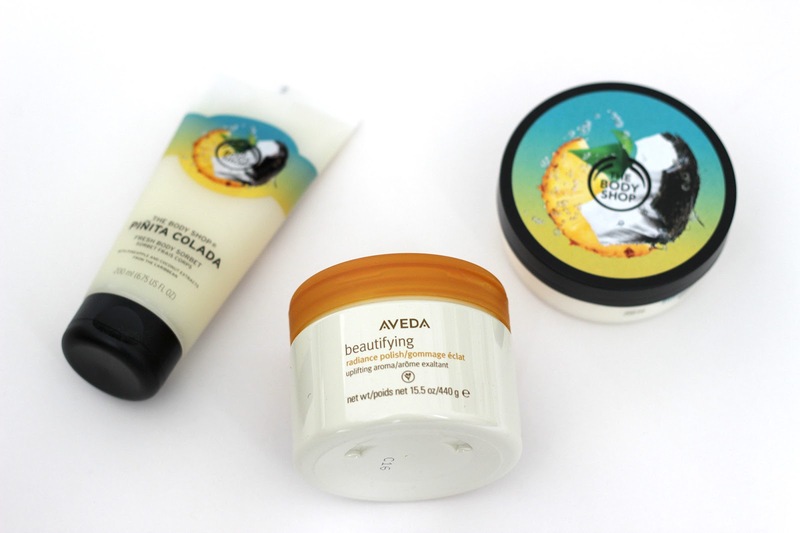 That's where The Body Shop's Pinita Colada Body Sorbet*, £8 comes into play. This is an incredibly cooling and soothing body lotion that cools you down, hydrates your skin and leaves it smelling incredible. If you want an extra bit of cooling action - pop this in the fridge - it blew my mind the first time I did this! Perfect for hot weather hydration. Go on, give your legs a bit of a pamper - or just your whole body, you will really notice the difference with these new favourites.